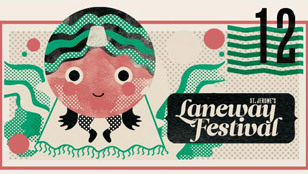 Today has brought with it the announcement of a ton of Laneway sideshows. Chillwavers, get ready to spend a lot of money. Here are all the details for Melbourne. Tickets available from all the normal places, it seems as if most of these shows go on sale sometime next week. Predictably, given how tight the scheduling is, there are a lot of clashes. Personally for me the pick of the bunch is the Givers/Portugal. The Man show, as it includes two acts I would happily pay full price to see, plus a fantastic support act in the form of Guineafowl. But M83 at the Prince is also a very hard possibility to pass up. It’s going to be one hell of a fortnight. Yuck, Horrors and The Drums all on the same night. Sigh.